Jam out! Learn sounds and colors with the Manhattan Toy Guitar. Guitar features numbered keys that play different musical notes and say the number or color of each key with every touch. Push the swirly circular button to change between the three sound categories: numbers, colors and musical sounds. 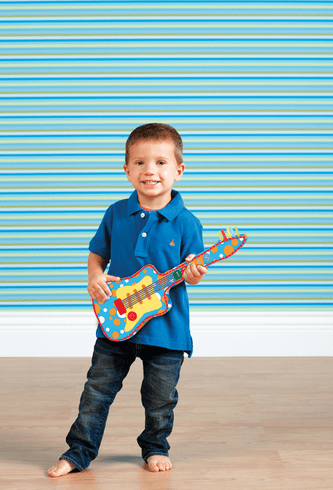 Enjoy musical fun while you learn numbers and primary colors.